Our state of the art nozzles such as warthogs, crossfires, bombs, ploughs and drain jets can cover every aspect of drain cleaning and unblocking with amazing efficiency.We use the latest high pressure drain jetting equipment to clear dirt and blockages to bring your drainage system back to full capacity. 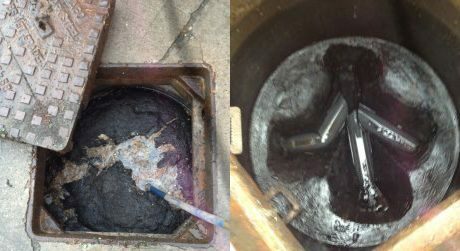 We will be able to tell you what is causing the problem and give you tips on preventing blockages and avoiding future drain cleaning. A blocked drain is more than a nuisance. Left unattended it can rapidly become a hazardous problem that effects your entire home. Fortunately at Drain Blitz our expert team are ready to help 24 hours per day, 7 days a week. We will diagnose the problem and fix your drain safely and effectively without breaking the bank. We are more than happy to give advice on which solution is most suitable for your needs, depending on your requirements. Why not ask us to view your property and discuss the various options with you now. Our advice is free!